Low-income families lack emergency planning resources for severe weather situations. Distribute weather radios and other resources to improve information-sharing during weather emergencies. Henrico County, Va. has found a way to connect the unconnected when it comes to preparing for weather emergencies. Citizens in the county are learning to “weather the storm” through the At-Risk Resident Weather Radio Distribution Project. The project provides weather radios and emergency planning resources to low-income families throughout Henrico County. The goal of the project is to reduce the loss of life and property in the county by providing hazard and risk information when bad weather strikes. In the fall of 2017, the Henrico County Office of Emergency Management collaborated with the Henrico Christmas Mother, a volunteer group run through the county that targets low-income families, providing them with items for children. The groups worked together to hand out nearly 100 National Oceanic and Atmospheric Administration (NOAA) weather radios to low-income families. They distributed information on emergency preparedness as well as supplied a “File of Life” to families which documents a resident’s medical information and can be placed in an accessible spot, such as on the refrigerator, for emergency responders in the case of an emergency. Many people targeted through the program were lacking basic preparedness information for weather emergencies, according to Robert Foresman, emergency planner for the Office of Emergency Management. He added that the county is susceptible to different types of severe weather including tornadoes, flash floods and snow and ice storms. “We gave them general preparedness information on severe weather, what to do in order to be prepared prior to a storm arriving, what to do during the storm and also information on the recovery aspect,” Foresman said. The program targeted low-income groups in households with residents 65 years or older, children 12 years of age or younger and individuals with disabilities who may have difficulties escaping dangerous situations. “We have found through studies that that is the group that is most affected during a disaster,” Foresman said. 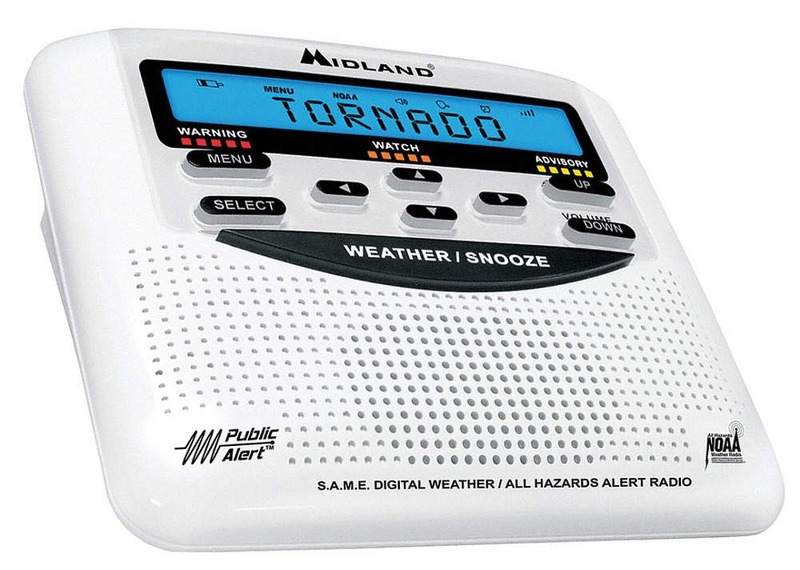 Each radio costs $30 and provides weather updates, emergency weather information from the National Weather Service, Amber Alerts and other emergency announcements. The Henrico County Office of Emergency Management obtained a grant from the Virginia Department of Emergency Management to fund the program. The project would not have been possible without the grant and the support of Federal Emergency Management Agency partners, according to Anna McRay, the former Henrico County deputy coordinator of emergency management. It is important that the emergency management office is sharing information regarding severe weather situations and other emergencies with everyone, regardless of socioeconomic status, she noted. “I see the importance of everybody being prepared regardless of what other factors they may be dealing with,” McRay said. Part of the reason low-income families were initially chosen for this project, she added, was because they already have a tie-in with other county agencies through social services, the health department or volunteer outreach groups such as the Christmas Mother, making them an identified group in need of more emergency management resources. “They could be one paycheck away from a personal financial disaster if the weather turns the wrong way or they have a fire at home or are flooded out of their neighborhood,” she said. McRay added that it’s not just about distributing radios, but also about sharing information on ways people can prepare for emergencies. She said projects like the At-Risk Resident Weather Radio Distribution Project should empower communities to be ready for whatever disaster comes and create ongoing year-round engagements to make sure citizens are prepared. “We wanted to start small with the pilot group through the Christmas Mother with the hopes of expanding it, given available grant funds in future years to be able to grant other groups,” McRay said. Foresman said the county plans to hold another radio distribution this year. “If it saves just one life, it is money well spent,” Foresman said.